I love how feminism is often blamed for giving women too many choices. Like this is a bad thing. Men, it should be noted, have rather as many career options as women, and yet you don’t see Kevin or Brandon or Ted throwing up his hands and saying, Damn you, patriarchy! So many choices! Shoot me now! I’m not denying the paradox of choice, wherein too many choices = overwhelm = paralysis (and no choice at all, which in itself is a kind of choice, but nevermind). (and men, it should be said, deal with this too). — if only she had given herself permission to do it. I don’t believe that we – and this holds true for both genders – have as many choices as we seem to like to think. We are born into a particular place and time with a particular set of gifts and limitations. The challenge isn’t to pluck the best career out of the air, but to learn yourself from the inside out: to know your gifts and accept your limitations and shape your life accordingly. while staring down all those voices you’ve internalized from childhood about who you are (and aren’t) and what you should (and shouldn’t) be doing. Chances are the answers to the questions you’re asking yourself – what am I good at, what are my interests – manifested themselves in childhood. They just weren’t recognized as such. You might have been swayed away from them – you can’t make a career out of a passion for travel! – and trained to dismiss them as indulgences, childhood fancies, wastes of time. Jane, what are you doing in the chicken coop again? What kind of girl spends hours hunkered down just to watch a hen lay an egg? You’ll never find a real career that way – or, more importantly, a husband! For crying out loud, learn to type! Except this is not what her mother told Jane Goodall upon discovering Jane’s fascination with nature and her ability to observe it. Jane’s mother probably couldn’t have known that Jane would make her name studying animals in the wild and revolutionizing the way we think about them. But she identified what it was that made Jane special. She also reflected it back to her so that Jane could see it for what it was, and explore how and where it intersected with the world. 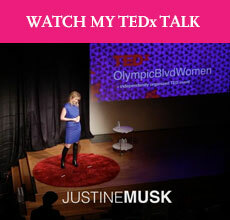 This enabled her to develop mastery and build a career. More than a career: a calling. 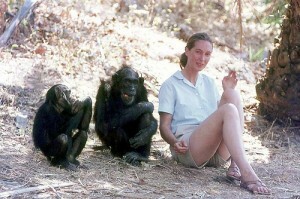 As a result, I doubt that Jane Goodall ever had to ask permission to be uniquely who she was, doing uniquely what it is that she can do. What is it that you’re not doing – in your work, in your life – because you feel you need permission? If someone had given you that permission as a youngster, what do you think you’d be doing now? Who do you think you would be? Traveling, rather moving away from my family. Most of my family has never really left the U.S. They don’t want to stray too far because they’re afraid something will happen to someone (as it always did having older family members). Whenever I do say I’m going somewhere, there’s this big discussion about being safe and coming right back. Occasionally, I feel slightly guilty for wanting to branch out and live somewhere other than here because I might miss something important. But I know there are things I need to go out into the world and see. That’s why I’m studying to get my TESOL certification so I can teach English abroad. I’m giving myself permission to see another side of the world and trusting that the family won’t self-destruct without me. It’s not too late. But pursuing that path at this point in time would result in extremely dire consequences for me (family estrangement, lack of financial support, that stuff). So right now I am trying to create a source of income for myself that would allow me to break away from my circumstances so that I CAN pursue that path. Goodall’s childhood experience triggered the memory of reading Katherine Hepburn’s autobiography. She had climbed high up a tree in a wind, and her mother’s friend gasped and said, “Good, Lord, that’s so dangerous.” Her mother said, “I know, but don’t let her know.” What a life Kate had, and every path she blazed involved risk, she just didn’t know it. I wish I’d been allowed to learn that lesson earlier because in some ways, it is too late. Following your calling isn’t always possible for those of us struggling to make a living and walking to and from work on uneven country roads to do so. After a day like that, there’s not much left. But there’s not much choice other than to keep trying. Something this made me think about to was that I have struggled with feeling like my gifts should lead to a job.like the JOB is the end, and if I couldn’t make money from something it wasn’t valid. I am a school counselor now, and it’s amazing how God just backed me into the perfect place. I guess the hard part for any parent is to simply watch their kids develop skills and interests without imposing their ‘mature’ view on them – which often includes their own disappointments and fears. But the trick is to pick up on the right signals. I’m sure if your parents see you reading a lot that doesn’t automatically lead to the conclusion that a career involving writing might be for you. Yet here I am with a blog only months old, loving it and wondering what training would benefit my writing skills the most: copywriting, journalistic skills, or maybe I should skip all that and study language theory after all? Love Luke Redd’s Tom Robbins quote! I was a teacher for 11 years. When my husband left I started acupuncture school, which is something he said I could not do while still teaching. Three years into school I was laid off form teaching and became self-employed managing properties. I’m in my last year of school and I can’t wait to graduate and start work with something I am so passionate about. Once my dreams of what life should be were smashed I gave myself permission to make my life what I wanted to be, but like Redd said, I have felt like an outlaw doing it. Good thing that feeds my soul.